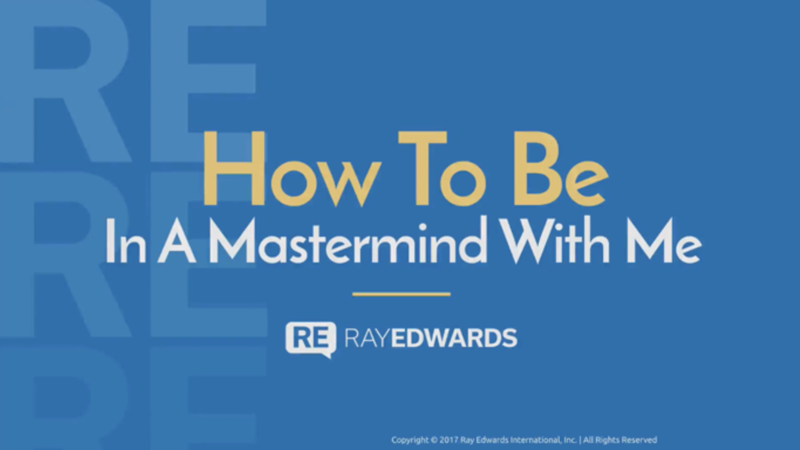 This is a limited offer to be in a Mastermind Group where you will be personally mentored and led by Ray Edwards. There is a $1,000 refundable application fee (if you are not accepted your $1,000 will be immediately returned to you). This is your initial deposit. We will have a personal, online meeting. If either of us decides you are not a good fit for the group, your $1,000 will be refunded immediately. The same thing is true if we fill up. You get your money back. That simple. So why charge anything at all? Because I only want to talk to people who are already doing great things online, and who stand to gain if they can master the growth of their business. $1,000 bucks is a sign you are serious and have "skin in the game".